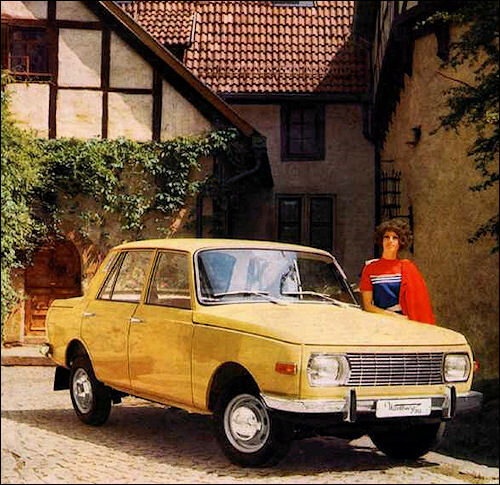 From East Germany comes the three-cylinder two-stroke Wartburg, one of the few two-cycle cars left in production today. 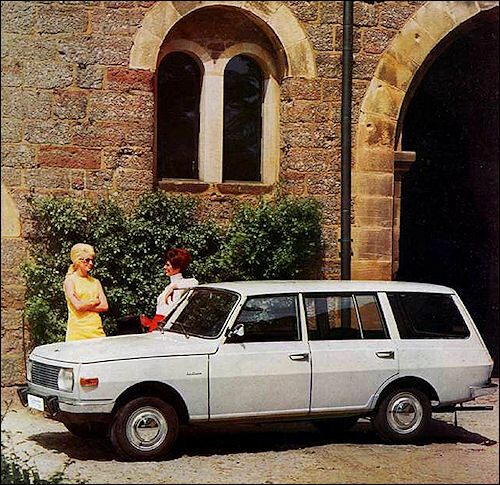 Made in the old BMW works, the Wartburg's performance is high for a one-litre car -particularly in view of its ample dimensions. Last year the power-output of the three-cylinder engine was increased to 55 b.h.p. and the final-drive ratio was raised to achieve less-fussy cruising speeds. 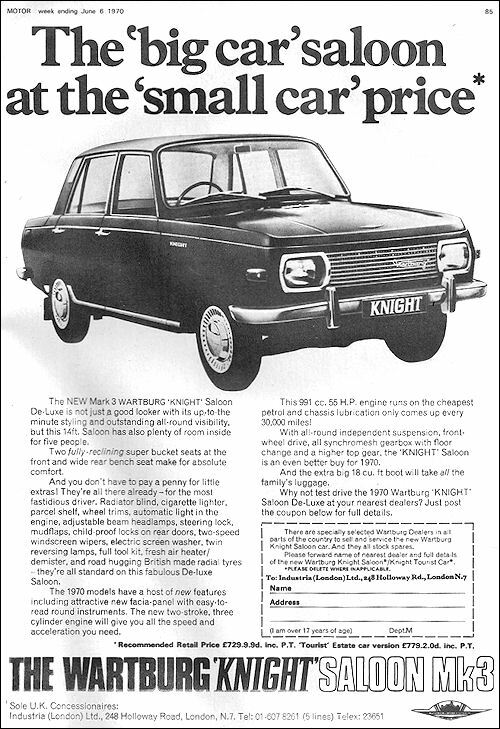 The Knight will exceed 80 m.p.h., and in addition to the four-door saloon there is an estate car with an astonishing capacity for people and luggage.